There is no shortage of Mexican food in Peoria and this post is proof of that. Below are 14 links to different Mexican restaurants I’ve gone to in the last five and a half years of doing the blog. And there’s also a link to my trip to Mexico where I had a Mexican pizza and then a spider had a bite of my leg in return. Luces, cámara, comida mexicana! Back in April of 2014 I met my friends, Terry Towery and Matt Buedel for lunch at El Mexicano. While perusing the specials I noticed they had a bacon cheese dog and I had to try it! While Matt and Terry feasted on Mexican fare, I enjoyed this Gringo dish and then it was Sombrero Time! Good Tequila’s opened up in the building that used to house the Shamrock Bar. I went there for a Saturday night dinner in December of 2014 and had a great meal. Sadly, they tore the building down and a Popeye’s Chicken is now operating in that space. Sigue follando con ese pollo! 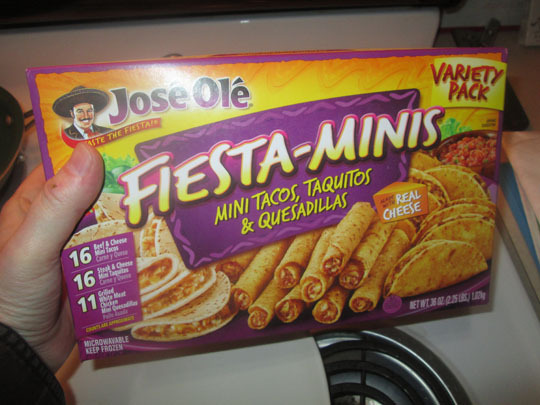 In April I sampled some frozen Mexican food for a frozen food segment here on MBIP. The results? ¡Una atrocidad mexicana congelada! Last September I went to Lorena’s Mexican Restaurant Bar & Grill in East Peoria. I had never been there and I had a fabulous meal and I will return! This was a fun post from Cinco De Mayo day in 2017. I sampled four tacos at four different Mexican restaurants around town and had some Mexican ice cream as a palate cleanser in the middle of this taco tour! This was a fun night at Mariachi Mixican Restraurant, which is one of the newer Mexican restaurants here in Peoria. My friend Cassie had her 29th birthday party there and we celebrated with dinner, drinks and a can of beanless chili! El Zarape was just one month old when I had lunch there with Matt Buedel in May of 2013. We both really enjoyed the food and the hospitality and I’m happy to report that five years later, it’s still in business. Wait a second...five years? How did that happen? Link: MBIP Spring Break 2018: San Pancho, Mexico—Mexico...A Beach...And A Bitten Leg...Oh My! This is a post where I sampled authentic Mexican food in a lovely little village in Mexico called, San Pancho. Unfortunately a spider sampled my leg and it turned into what would be a three month nightmare of dealing with my Mexican spider bitten leg! For the record, it’s just about healed up! This was a fun night at Jalapenos with my friends Amber, Joe and Adam. In addition to a wonderful Mexican sampling meal, we had table-side guacamole and it was fabulous! This is the only place in Peoria that offers this and if you haven’t tried it you definitely should! Cayenne had just opened up when I went there and met my friend John Ingles for the 30th sandwich in the MBIP Year In The Life Of A Sandwich food tour. I got a Mexican tenderloin and it was tasty and delicious! Los Cabos on Main Street is the newest Mexican restaurant in town and I stopped a few weeks ago and had a fabulous Mexican feast in there! This was a fun day and fun post from last month. I met my friend Tiffini who gave me my own Little Nut Hut and before we went to put it together we had a wonderful lunch at yet another brand new Mexican eatery, Something 2 Taco About. The food there is authentic and so delicious and the highlight was the Elote which is grilled Mexican corn on the cob. If you’ve never had this Mexican treat, I highly suggest you stop by and try it out! Los Jimadores is in an historic building as far as Mexican food in Peoria goes. The building they’re in is the site of the first Peoria Mexican restaurant, Pepe Taco! They’ve kept the Mexican midwest tradition alive there with wonderful and authentic Mexican cuisine and fun and friendly hospitality. I went there for the MBIP Seven Months of Steak Tour and had a steak taco and a fantastic steak dinner. Back in 2015 I had heard of a place that specialized in tamales called Emily’s Tattooed Tamales and I had to check it out. I went and had some of the best tamales ever. I need to go back and see how she’s doing, I can’t believe that was over three years ago! Link: Saturday Night Pre-Xmas Dinner @ Hacienda El Mirador Plus Xmas @ The Bohannan’s Starring Thurston & Tallis! This was a fun Mexican Xmas dinner with my friends Amber and Joe. I love Hacienda El Mirador and they serve up some of the best Mexican food in Peoria and it’s also such a friendly and welcoming place. That night we had a fabulous Mexican feast and drinks and then went back to Amber and Joe’s house. We had a holiday celebration where Tallis attacked not one but two stuffed toys! He was a very good boy that night and we had a lot of laughs and fun! 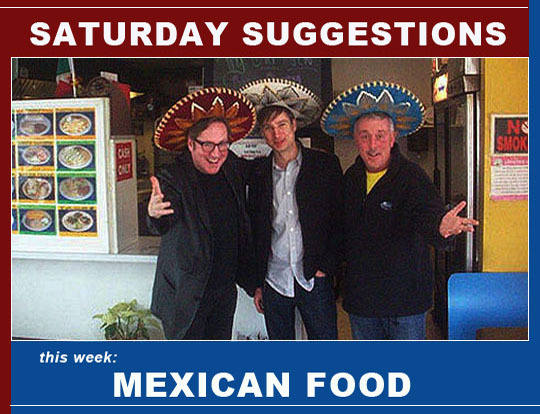 Related Posts: Saturday Suggestions: Bowling Alleys, Local Shopping Outlets and Saturday Night Dinner.